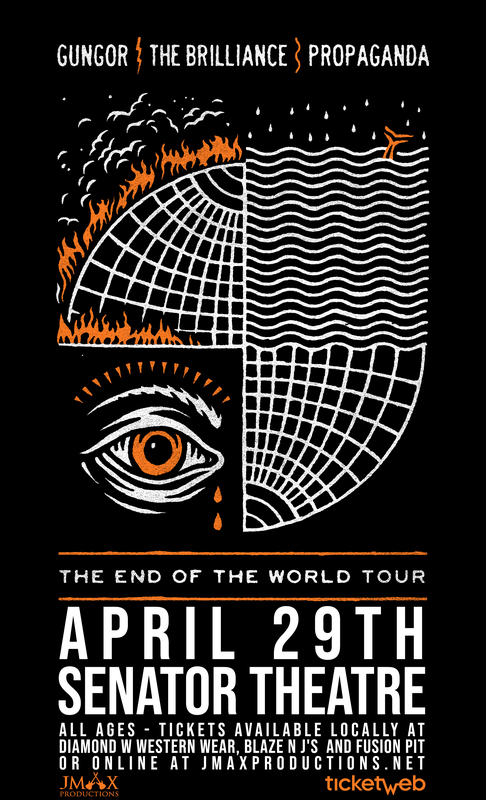 The End Of The World Tour VIP includes: a ticket to the show, early entry into the venue, an intimate acoustic performance, & a group conversation with Gungor, The Brilliance & Propaganda. Michael and Lisa Gungor are curators of the Grammy-nominated musical collective simply known as Gungor. The duo uses their skills as accomplished song writers and multi-instrumentalists to tell honest and forthright stories - some personal and some allegorical. Together they’ve tapped their considerable musical reserves to blur genres and break expectations creating a unique magnetic expression. Gungor just completed their album trilogy titled “One Wild Life," now available everywhere.